As of late, it seems like everyone is adding identity to their list of services. And adding a brand has become the new order in the market. However, brand designers are working with various clients in a bid to understand what kind of image they want to project into their business. Engaging with the best brand designer who is a full-time specialist will surely give you the popularity you need in the market. What do Brand Designers Do? Brand designing is not something very complex. Rather it’s all about creating a unique identity for a product or a certain service. This, however, will include the entire image of a company or an organisation. Moreover, brand designers can also work for a design agency, helping customers with innovative branding that will promote their business. In addition, some organisation now have its design department. A brand designer will fall under the company’s brand strategy and marketing department. The type of product, content or service your business offers? Your business organisation and product offering to customers? Your business’s or products’ personality? Who are you, the brand designer has to think like your product’s psychologist. What is your business’s voice? 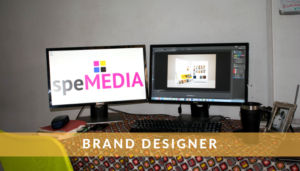 The brand designer goes beyond the sound of your company’s spokesperson or Public Relations Officer and he or she thinks beyond our buyers, users or potential customers of yours goos and or services. They also look at what kind of language you communicate with and how you use it, and this more than just English. Do you speak like a Hwindi or a University of Zimbabwe professor, talk of Professor Jonathan Moyo… They project images differently. From a brand perspective, who doesn’t recognise ZBC Newstime from their traditional drum jingle? Can you use video or film as a voice to market your business? Who is your targeted audience or potential customer? Branding goes beyond buyers. Brand designers think about the core principles, values and goals of your business. They try and figure out what is at the core and very important to your business. Who are you competing with? Brand designers know that as your current customers define your business brand, so do your competitors in the same market. Are your competitors using printed t-shirts for promotions? They also consider you as a business differentiate your products, services and organisation from your competitors in the same market. What makes you stand out and why? How to become a brand designer? The only things you need to become a perfect designer is having a flair for designing as well as interest in what you do. However, most employers will require you to provide a portfolio at interviews. Some may ask for experience of using specific graphic design software. So if you are aspiring to be the best designer make sure you have the mentioned capabilities. We are now living in the modern world. And it is not surprising that brand designing has made its mark in the market. This is because every organisation wants to have an identity that will create real mojo and generate more business. We can help you with getting a website developed or designed in Zimbabwe. We appreciate that your business is unique in its own right. Therefore, we will develop a website design plan and approach for you. Kindly fill the form below and we will reply you urgently with a custom pricing quotation. We are open from Monday to Friday 8 am to 5 pm.